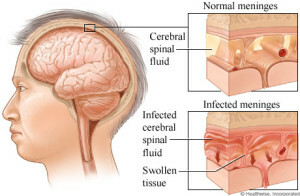 Meningitis is caused by inflammation of the meninges which are the protective layers of the brain. It is caused by a variety of bacteria and viruses. Viral meningitis is rarely contagious and is usually a mild infection followed by a full recovery. The most common cause of meningitis is the meningococcal bacterium and hence the infection is called meningococcal meningitis. 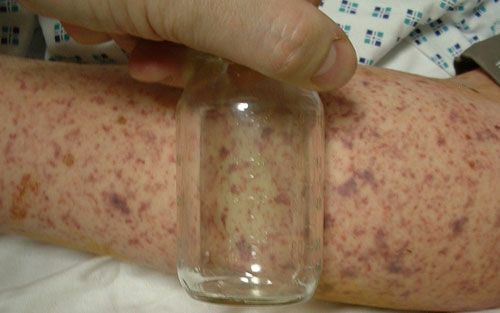 This bacterium also causes meningococcal septicemia or blood poisoning. Together they are known as meningococcal disease. Children under five and 15 – 24 year olds are at high risk of being affected by meningitis. Meningitis is often seen in sporadic outbreaks in winter and spring, especially where young people are together in crowded conditions such as colleges and universities. 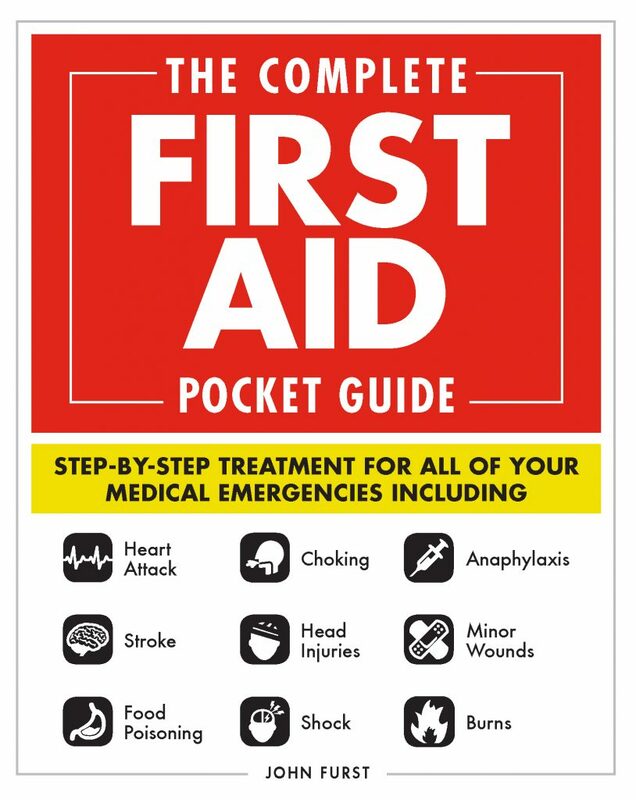 It is passed on from one to another by droplet spread (coughing and sneezing) or by direct contact with the naso-pharyngeal secretions of infected persons. The haemophilus influenzae bacterium (HiB) was a common cause of meningitis in children but they are now immunized as babies and is, therefore, less common. Meningococcal septicemia often accompanies meningococcal meningitis and is a very serious condition. It occurs when bacteria in the blood stream multiply and produce poisons which attack the blood vessels so that blood leaks out. As blood is lost in this way, the circulatory system begins to shut down. Unless this process is reversed by medical treatment, the person will go into shock leading to heart failure or multiple organ failure and ultimately death. Meningococcal disease is the most common infectious cause of death in children. Early diagnosis is crucial as the disease can progress so fast that within a few hours of onset of symptoms in a previously healthy child, the child can be fighting for life. Death often occurs within 24 hours of onset. It should be noted that waiting until the rash appears may be too late!